Vinyl turntables?! Windows XP?! Basic cell phones?! 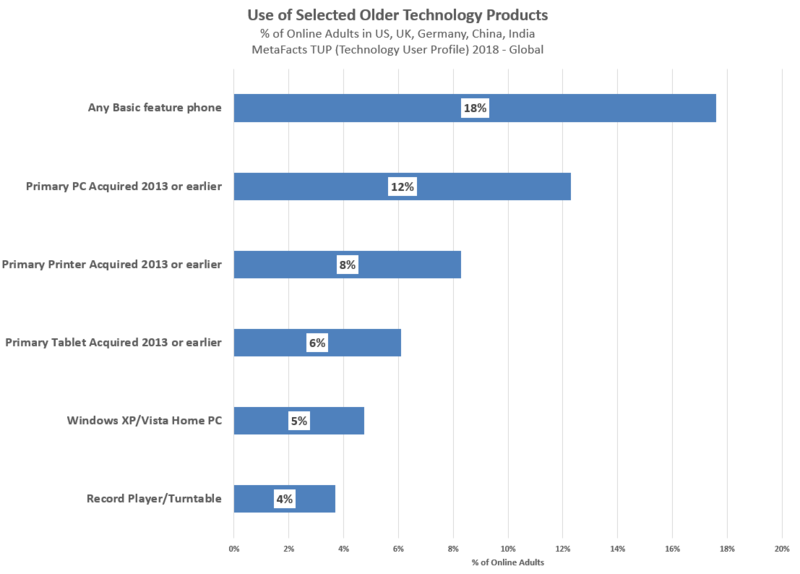 Is it true that users of older technology are uninterested in new technology? We tested that hypothesis using several indicators, and found that this stereotype is partly true, and partly not true. We’ve found an interesting group that spans the old and the new, and who are distinct from those who match the laggard stereotype. Users of older technology are a substantial part of the marketplace. While some slog along with what they have, others eagerly anticipate and even create the future. More pedestrian ones hold on to what they have because they aren’t seeing the value in new technology products and services, or don’t have the means or motivation to do so. 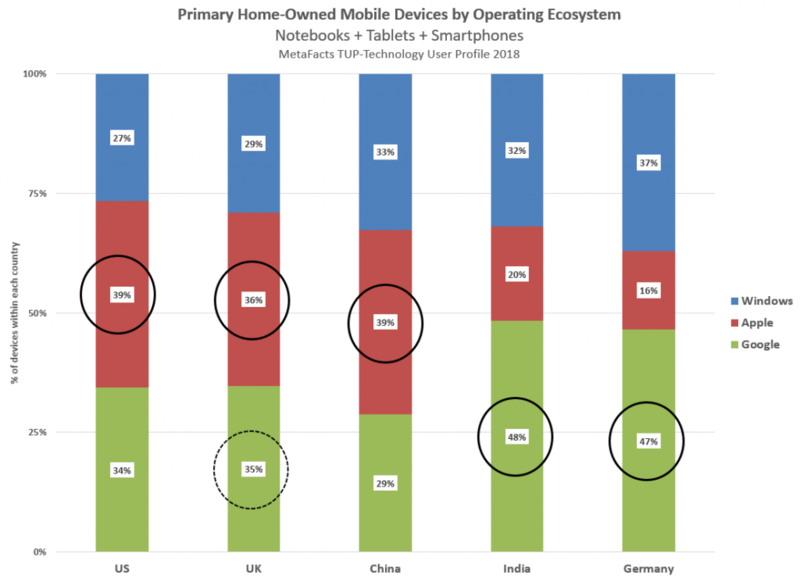 Based on our most research results, from the MetaFacts Technology User Profile (TUP) 2018 wave, 18% of online adults globally use a basic feature phone and 4% use a turntable to play vinyl records. This is based on our balanced survey of 14,273 adults actively online using any PC, mobile phone, tablet, or game console. Many types of older products are also in everyday use. 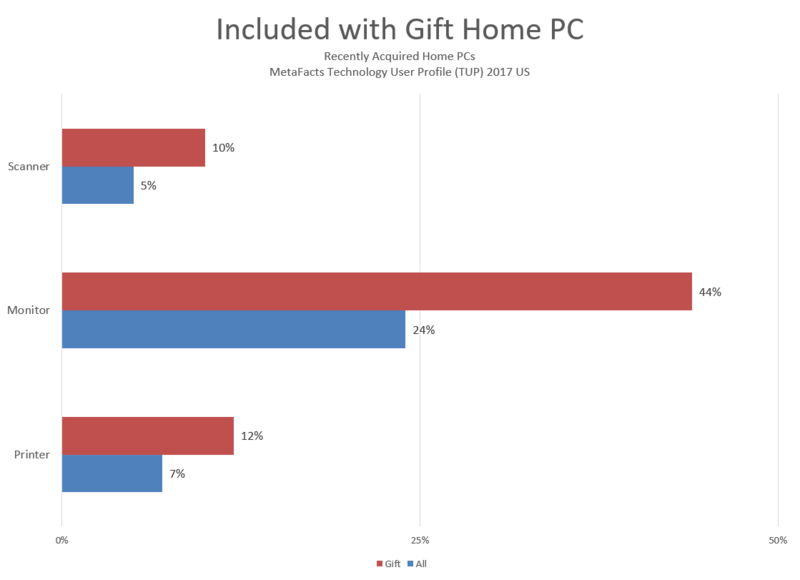 One in eight (12%) of the primary PC being used by adults was acquired in 2013, two years before Windows 10 was released to the public. One in twelve online adults (8%) are using a printer as old, and one in sixteen (6%) are using a tablet also from 2013 or earlier. Old-school isn’t necessarily old, as vinyl record turntables have toyed with a resurgence over the last decade. They’ve recently withered into usage by only one in twenty-five (4%) online adults. 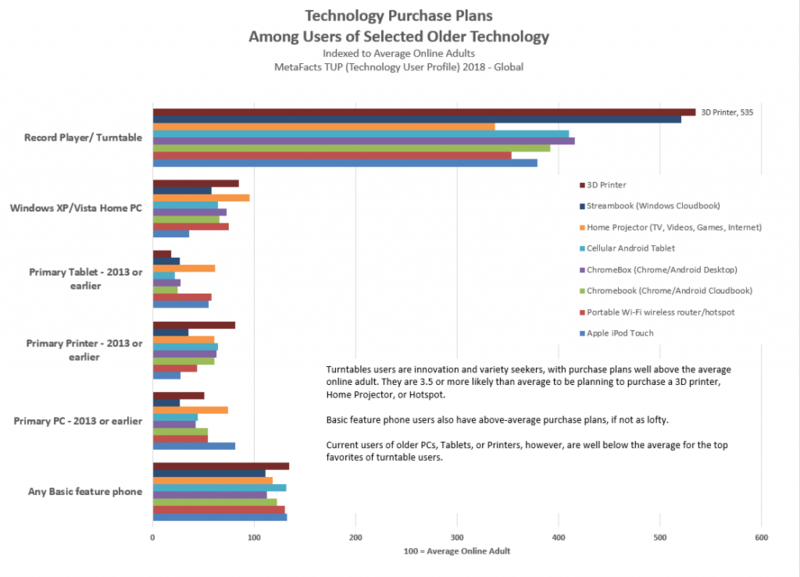 However, this small and stalwart group has substantially broader and more ambitious technology purchase plans than most online adults, and certainly more than those who simply hang on to old PCs, tablets, or printers. Turntable users are 3.5 times as likely, or more, to be planning to purchase a 3D printer, home projector, or portable Wi-Fi hotspot. 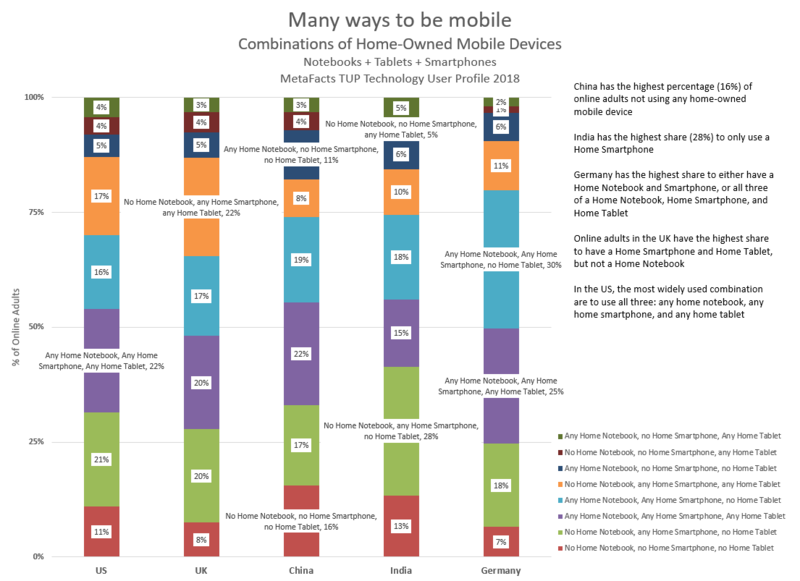 They also stand out for their strong interest in Google Android/Chrome devices – whether a Chromebook, Chrome desktop, or for a Wi-Fi Android tablet. 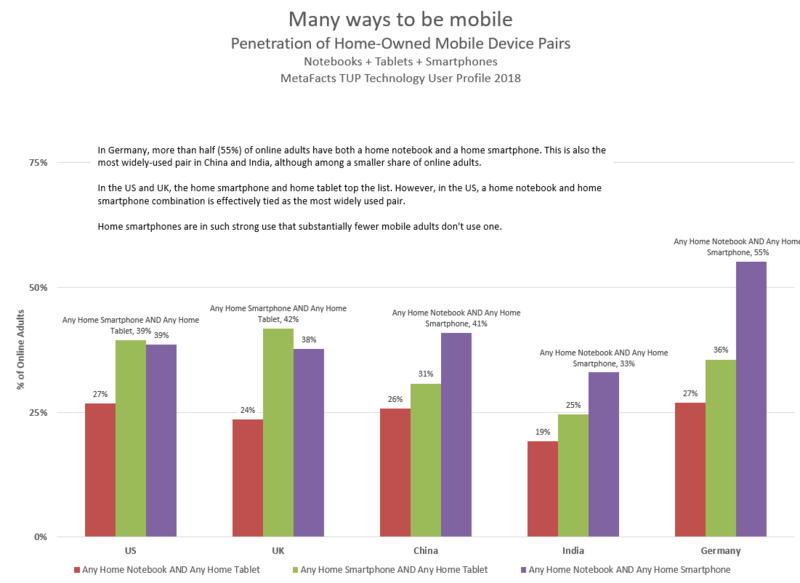 They also have the highest intentions to purchase an Apple iPod Touch, the almost-iPhone quietly targeted as a music or social communication device. These same technology products have lured the interest of another group – basic feature phone users – although to a lesser extent. 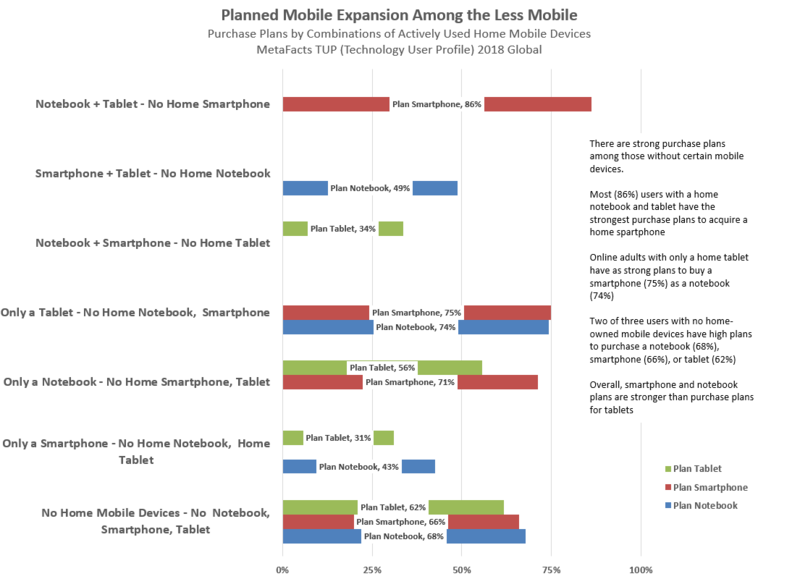 These simple cellphone users have above-average intentions for each of these same products. Does these mean that the future for 3D printers and Chromebooks are only among these small segments? No, it’s that innovation and openness attracts other segments besides the newest-technology crowd. In fact, the desires and intentions of these music-loving, vinyl-spinning innovation and novelty seekers run circles around the average online adult.